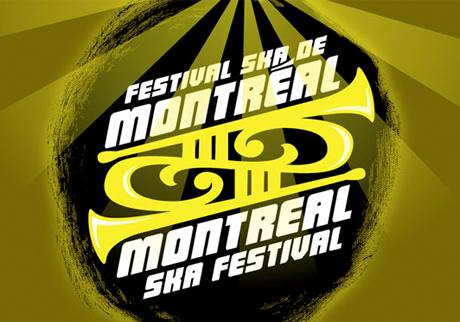 The name of the Montreal Ska Festival is self-explanatory. From October 13 to 15, this annual celebration of skanking rhythms will be returning for its third instalment, and fans of the genre are bound to be impressed by the lineup. The festival will kick off at Café Campus, with the next two nights taking place at Club Soda. The event will feature an appearance from '60s heroes the Skatalites, and long-running New York outfit the Toasters will also be performing as part of their 30th anniversary celebrations. Other acts set to play the fest include Danny Rebel & the KGB, the Hanger, Reggae Dubline Corporation and the Fabulous LoLo. Tickets for the Club Soda shows cost $16.50 in advance or $21.07 at the door, and they will be available at various Montreal outlets soon. If you don't want to wait, you can buy them from the Club Soda website or at the box office (1225 Boulevard Saint-Laurent) now. Check out the Montreal Ska Festival website for more details.